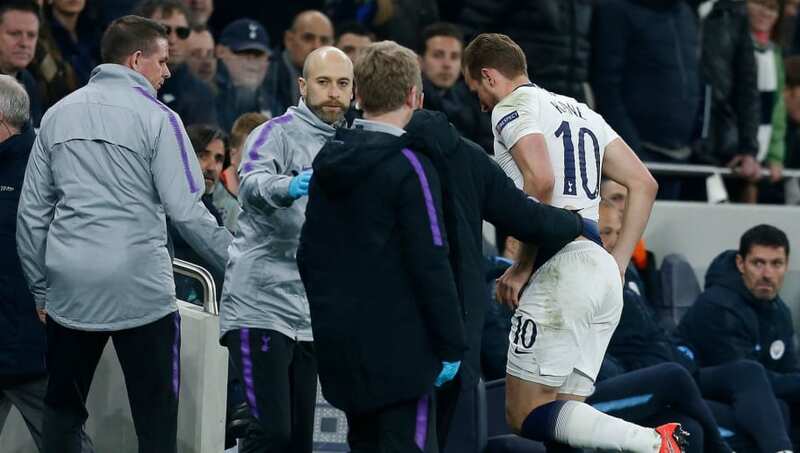 Tottenham manager Mauricio Pochettino has admitted it is 'difficult' for him to see Harry Kane playing again for Spurs this season, following the ankle injury he sustained during the 1-0 win over Manchester City in the first leg of their Champions League quarter-final. On Thursday, the club confirmed the striker had undergone several medical tests, with the assessments revealing the Englishman had suffered 'significant' ligament damage in his left ankle, though they refused to offer a potential return date. And now, as quoted by ​BBC Sport, Pochettino has admitted he finds it unlikely that Spurs fans will see their captain in action again this season. Speaking ahead of his side's home clash with Huddersfield on Saturday, the Argentine proclaimed: "It is a little bit sad but he is looking forward to recovering as soon as possible. There is five weeks [of the season left], it is going to be difficult." The tactician then revealed the club's plans for ​Kane's recuperation, as well as his mindset following the setback. "Next week we are going to see with the specialist," he confirmed. "We are going to do everything to recover him as soon as possible but there is only five weeks of the season to recover. "He was so upset after the game - it was a difficult moment for him. He is in a good place because he is a positive guy." The Lilywhites also lost ​Dele Alli in that European encounter to a hand fracture, though it is understood that the midfielder's ailment is far less serious, with the club revealing in their Thursday statement that he could still be in contention for Saturday's game with the Terriers.